Retailer Carphone Warehouse is claiming a 25% jump in its customer satisfaction ratings after investing in BPM software to help staff deal with sales, queries and complaints. 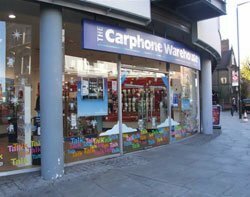 Retailer Carphone Warehouse is claiming a 25% jump in its customer satisfaction ratings after investing in business process management (BPM) software to help staff deal with sales, queries and complaints. The mobile phone retailer, which had a turnover of £3.5bn last year, has rolled out the software to 850 stores and three call centres in the UK, and is gearing up to roll out the technology across Europe. The system, dubbed How2, provides shop workers and call centre staff with simple-to-follow visual guides, covering thousands of possible queries. How2 has played a key role in helping Carphone Warehouse boost profits at a time of growing competition in the mobile phone retail industry, enabling the company to transform from a sales-driven culture to a customer service culture, said Chris Jones, head of business operations. "We made a very deliberate change in our business and changed our remuneration model, which was based around commission," said Jones in an interview with Computer Weekly. "We now use a balanced score card: how we treat customers, quality of sale, vision to inspire and guide customers, and customer satisfaction." Carphone Warehouse, which also operates the Best Buy, Geek Squad and The Phone House brands, began looking for a way to standardise its business processes - which had grown up in an hoc way across the organisation - about three years ago. The company had 2,500 stores, including 815 in the UK, each of which used its own systems and processes. Each store made an average of 40 calls a day to Carphone Warehouse's back office, seeking advice on how to deal with requests from customers, tying up staff time at both ends of the business. "We had become so entrepreneurial we had forgotten about some of the practicalities of day-to-day business," said Jones. "We had not concentrated on what our back office looks like and how we organise ourselves around customer services and revenue. Nothing was written down in terms of standard operating procedures." Jones and his team initially planned to create standard business processes internally and to distribute them on the company intranet. "We got 20 branch managers together and gave them one process and asked them to draw out the process step-by-step. Everyone came back with a different answer," said Jones. The company realised it needed to bring in external help and approached several software suppliers and consultants, before choosing business process software specialist Nimbus. "Lots of people were keen to sell us a box, but Nimbus was very keen to hold our hand and take us through the process. It was less about selling and more about the journey," said Jones. Carphone used Nimbus Control software to develop the How2 system. It appointed a team of branch managers to document the business processes they used in their stores. They worked remotely with a central team, which co-ordinated different approaches and finalised a single best practice approach. The challenges were not so much technical, as managerial - persuading people to change the way they work, said Jones. Carphone Warehouse appointed "ambassadors" to spread the word about the new technology. It also held a big launch party, with 120 field managers, laying on games, masseurs and other entertainment. Staff received How2 goody bags, containing mouse mats, sweats and other goodies, to raise awareness of the new system. "We had to make the launch quite whiz-bang and create a strong brand around it. We had to make How2 easy and fun because process can be quite scary," said Jones. "In less than nine months we went live with 600 processes to 850 stores. That was not just documenting the processes, but the whole process discovery journey, speaking to lots of people, and asking how you do this." Staff in stores are able to access How2 from the electronic point of sale (EPOS) system, using a simple graphical interface to identify answers to customer queries and problems. The system receives about 6.5 million hits annually, freeing up shop assistants to spend more time with customers. "We have more productivity on the shop floor. Interaction with customers is more seamless. After 12 months we had removed 40% of calls from stores into our central resource centre," said Jones. The company has gone on to roll out a version of How2 for mobile phones and iPads for use by managers and staff while on the move. Carphone Warehouse has begun documenting other back-office business processes on How2, such as instructions for claiming expenses or booking holiday. For example, employees are able to swipe their mobile phones over a 3D barcode outside a meeting room to find out how to book the room, or they can swipe a 3D barcode on a photocopier to find out how to reload paper. After the initial launch, Carphone Warehouse expanded How2 to document some 6,000 processes used by 700 staff in its three UK call centres. The call centres handle calls for Carphone Warehouse, Geek Squad, Carphone's joint venture with US electrical retailer Best Buy, and its European retail chain The Phone House. The project has helped to drive a 38% increase in satisfaction levels, reported callers to Carphone's helpline, says Jones. The company set up a centre of excellence last year, which employs around 30 people, to review and simplify the documented business processes, in what Jones describes as a continuous process of improvement. "It means all our processes will evolve over time. Rather than just documenting processes, we will continue to optimise that process over time, and measure how it works," he said. The team has been able to map complaints from customers to individual processes on How2, allowing the company to identify and fix any underlying processes that may be causing problems. "The next state is rolling out the platform to our European countries," said Jones. "That brings unique challenges, the main one being language, but we are determined to make it work." At the same time, the company is looking at plans to host How2, currently provided on a software-as-a-service model, internally. The move will make it easier for staff to log in to How2, allowing them to use a single sign-on rather than having to remember a second password to log onto the Nimbus system.